When you are ready for a little break from the sun and the crowds, why not try the cooling atmosphere of an ice cream (Gelato) making class. Forty five minutes of watching the master Mario Gargiulo prepare gelato, learning about the ingredients and techniques and the moment you have waiting for… a chance to taste the end result. You also have the opportunity to try some of the many flavours on offer including, for the more adventurous, salt, Parmesan cheese, rosemary, tomato and basil and olive oil. Personally I will stick to vanilla, strawberry and chocolate. What’s yours ? 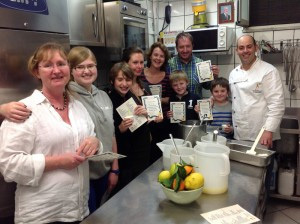 To prove you have learnt the secrets of making gelato you will also receive a certificate. 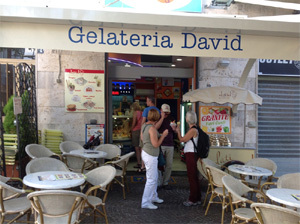 The Gelateria David school is located close to the center of Sorrento, about a 10 minute walk from the main ‘Piazza Tasso’ square towards the bus station. Don’t forget to mention you are a Friend of Sorrento.